Our instructors and technical advisers have all worked or are still working in the marine or woodworking industries. 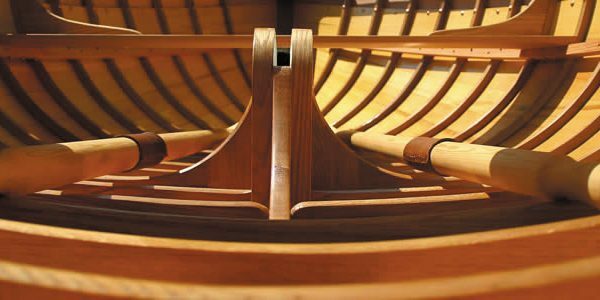 The experience they bring to the Boat Building Academy provides a wealth of expertise for the courses, and a pool of specialist advice for specific projects. The Academy’s visiting Instructors bring additional skills training to both long and short courses. Paul Dyer worked in IT management before completely changing career and becoming a student on the 38 week course here at the Academy, where he gained Distinctions at Levels II and III. He worked as a boat builder and as Accommodation Manager at Lyme Regis Marine Centre before being promoted to his present role of Training Manager and Instructor. Mike Broome spent six years as a marine engine fitter before becoming a designer of special-purpose machinery. He left engineering to train in traditional boatbuilding skills in Lyme Regis. On graduating he set up Simmons & Broome Ltd with a fellow student, building and restoring wooden boats. Mike has been teaching at the BBA since 2005 (part-time), joining as a full-time instructor in January 2008. Mike is a member of the Institute for Learning, having gained QTLS status. Before taking the City & Guilds course at the BBA in 1999, Matthew worked in education and research at Trinity College, Dublin. Prior to that he worked in emergency relief and development in East Africa, running displaced people centres for NGOs and United Nations. After deciding to completely change his career Matthew joined the ‘long’ course at the Academy. He served as a shipwright in Lathams Boatyard in Poole afterwards, but we persuaded him to instruct at the BBA in 2004. He’s been here ever since. Will has a degree in furniture design and worked at Buckinghamshire Chilterns University College before coming to the Academy as a student to learn boat building. Instructors wept at the beauty of his dovetail joints. After the course he started his own business building, restoring and repairing boats, in addition to designing and constructing furniture. He then went on to set up a woodworking and boat building business near Salisbury, but has since been persuaded to join the Academy as an Instructor. Bob graduated as a biochemist and worked for the same laboratory supplies company for 32 years – in laboratories, human resources, IT management and European marketing. When the offices in Poole closed he took the opportunity of early retirement and built a stitch and glue ‘Storm 15’. He enjoyed the experience and wanted to learn more about traditional boat building. He joined the 38 week course in March 2007. Bob then set up boat building apprenticeships at Bournemouth and Poole College, working with Sunseeker. He has joined us again as an Instructor. Steve has worked as a swimming instructor, upholsterer and groundskeeper. He first joined the BBA as a student on the Woodworking Skills course back in September 2012. In 2018, Steve enrolled as a student on the 40 week boat building course with the Class of February, since finishing the course he was appointed assistant instructor. Mark specialises in furniture design and making. He is a member of the Society of Designer Craftsmen and the Hampshire and Berkshire Guild of Craftsmen . Mark exhibits his work widely and his designs have featured in numerous books and magazines. ‘ Furniture Making Projects and Plans ‘ (Guild of Master Craftsmen Publications Ltd 2008), Mark’s own book, has recently been reprinted. He is also a visiting lecturer at the Building Crafts College, teaching students about batch chair design and production. Mark teaches the 12 Week Fine Woodworking course and the 5 day Furniture Making short course here at the Academy. Further details about Mark’s work can be found on his website. Steve joined the Royal Navy at 16, spending 14 years in the catering branch. When he left in 1990 he and his wife bought a B&B on Weymouth seafront which they ran for 17 years along with a garden design, maintenance and construction business which they ran for 12 years. In 2008 Steve became a student on the Academy’s 38 week course. Justin Adkin was brought up on boats in the fishing village of Beer. He built his first boat in his spare time during an engineering apprenticeship, then went to Rowsell and Morrison to build rowing dinghies and ocean rowing boats. 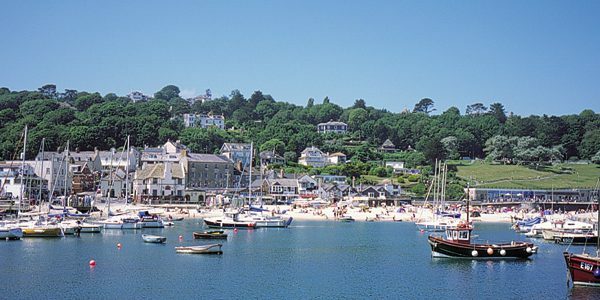 In 2003 Justin set up his own business building Salcombe Yawls and ocean rowing boats, including the boat he built for himself and in which, with his brother and two cousins as a four man crew, he won the ’05-’06 Atlantic Rowing Race. Colin Henwood, Founder of ‘Henwood & Dean’ on the Thames, has been restoring and maintaining traditional Thames boats over 25 years, as well as using traditional methods and techniques to design and build new boats. Craft restored by Henwood and Dean have won many prestigious awards, including the Classic Boat Magazine trophy for ‘Best Professional Boatbuilder’ for the stunning 13′ electric launch, Polly, in addition to the ‘Thamesis’ Trophy for best new boat built to a traditional design. Henwood & Dean boats are often featured in Thames-based events and on TV. Colin instructs our 5-day Renovation and Finishing short course. Find out more about Colin in a Profile written by Classic Boats. Jeremy has been making sails for nearly 30 years, starting at North Sails in the early 80’s building sails for both The America’s Cup and Olympics, and going on to work for some of the country’s leading Sail Lofts. Among his work were the sails for 80 foot ‘Alinda V’ after her restoration by Southampton Yacht Services. Jeremy, now Managing Director of Elvstrom Sails, is based in Hampshire and has been instructing Sail Making courses at the Academy since 2010. Christopher Booth has been involved in the care of antique furniture for over forty years. After completing his training at West Dean and in Paris he worked for Jeremy’s on the King’s Road, before setting up his own restoration business, Ballantyne Booth, in Notting Hill. Chris then moved to West Dorset where he still works as a master restorer. He is a specialist in all aspects of period property maintenance, including gilding, picture hanging, textile and fabrics, french polishing, stone masonry, veneer matching, furniture making and wax polishing. In 1987 Christopher established Christopher Booth Furniture Restoration in Dorset, specialising in 18th century English and French furniture. In 2010 he took on the restoration and conservation of all furniture at Hoglands, former home of Henry Moore and continues with the ongoing annual maintenance for the Henry Moore Foundation. Chris instructs our Antique Furniture Restoration short course, details can be found here.